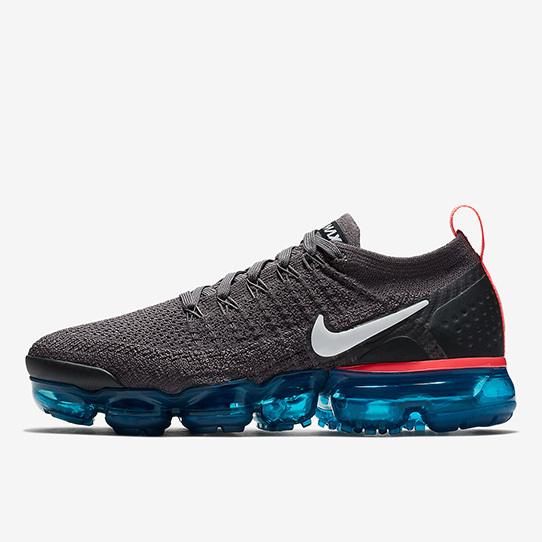 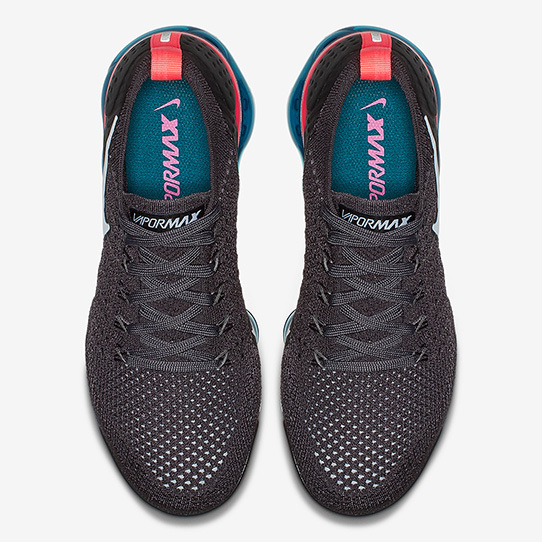 Nike Vapormax 2.0 this is colorfully designed “Thunder Grey” version. 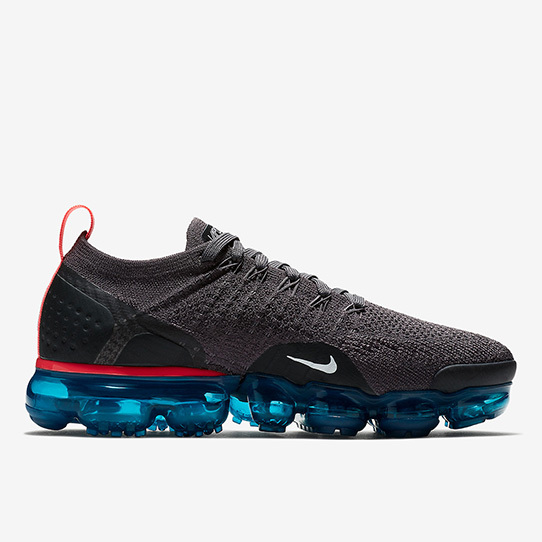 While the vast majority of its Flyknit upper comes adorned in that hue, its heel and Vapormax sole unit utilize Hot Punch and Geode Teal for a refreshing pop of color. 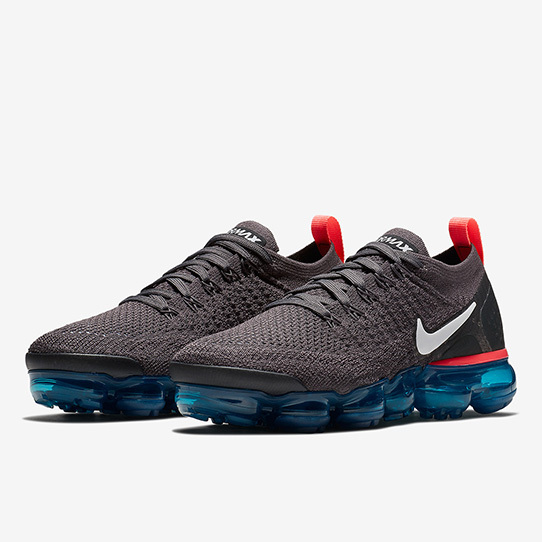 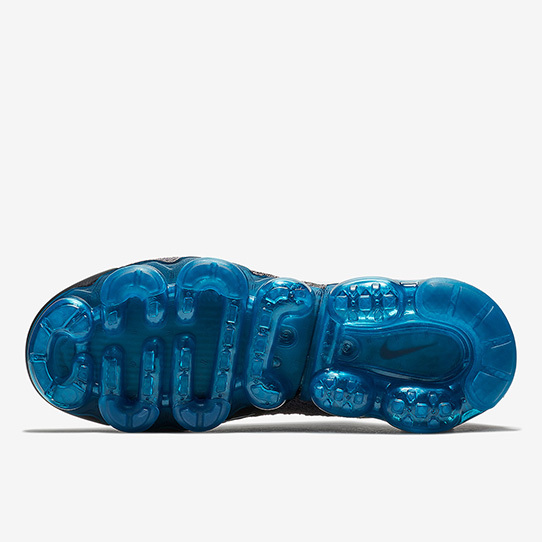 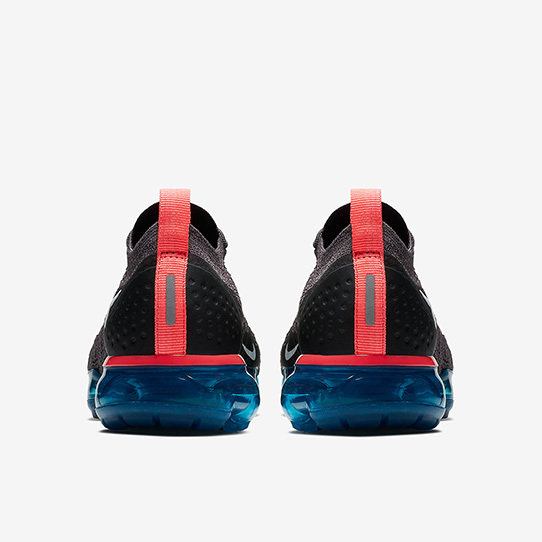 Its miniature Swooshes on both the lateral and medial side – that have become the distinguishing factor between the Vapormax 1.0 and 2.0 – utilize a crisp white color to provide the sneaker’s upper with contrast.